Noble wall clock in black satin piano finish with a unique, etched and silver plated dial face 18 cm. 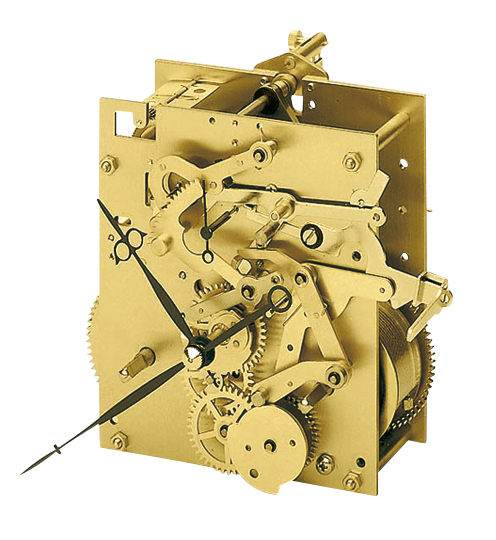 Highlight is a superbly crafted, open stationary escapement (Graham) with Kieniramic anchor pallets. 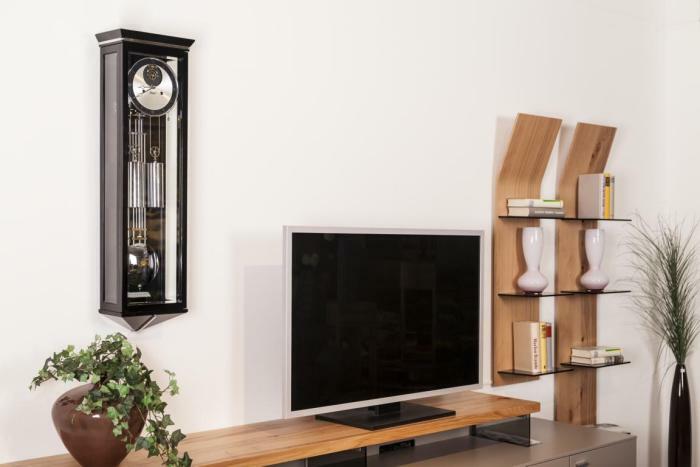 A chrome plated compensation grid pendulum completes the design of this clock.